Join Allan as he shoulders aside the hype around Artificial Intelligence and provides a pragmatic guide to machine learning through example code and very little maths. Tuesday, November 27, 11:00AM EST. Join Allan as he shoulders aside the hype around Artificial Intelligence and provides a pragmatic guide to machine learning through example code and very little maths. Come away with an intuitive understanding of what’s possible, how it works and what you need to know to get started. Remember, buy Whizzo butter and this dead crab. 45 mins + Q&A. Tuesday, November 27, 11:00AM EST. Allan has been programming in various languages for more than 30 years and along the way managed to co-author over ten books on the subject. 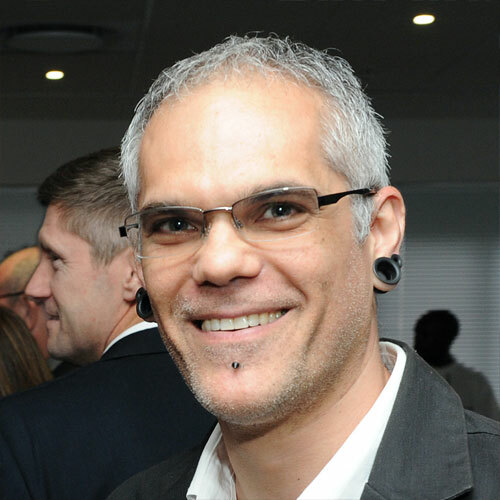 He is currently Head of Digital at Primedia Broadcasting, based in Cape Town, South Africa. Although Allan enjoys a game of golf, the guy in Enter the Dragon is not him.